A quick protein lunch after a gym workout to refuel the muscles. A fridge raid later and all you need is a handful of colourful vegetables, eggs and cottage cheese. 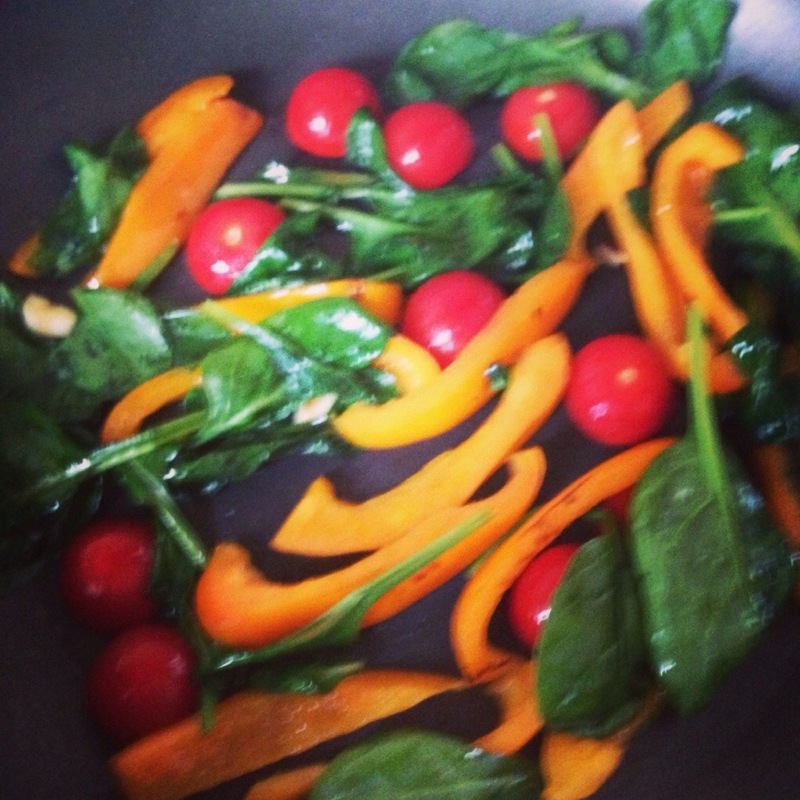 Pan fry in a bit of olive oil the pepper and garlic before adding the tomatoes and spinach. Mix the eggs, egg white and cottage cheese with some salt and freshly ground pepper and pour into the pan. Add the spring onions on the top. 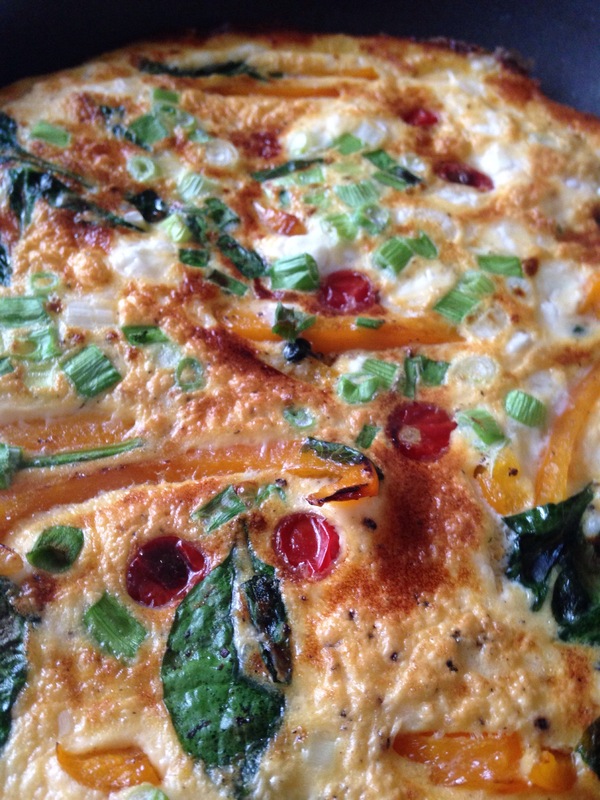 Once the bottom of the frittata is cooked turn it over with a plate or place under the preheated grill to cook the other side. Enough for 2 people or keep half for a healthy breakfast the next day. This entry was posted in baking, catering, cooking, fitness, food, gym, health, home cooking, kitchen, love, nutrition, snacks, Uncategorized, vegetarian, workout and tagged egg, gym, protein, workout. Bookmark the permalink.